Piedmont Municipal Power Agency (PMPA®) is a joint action agency formed by ten municipal electric utilities in the northwest section of South Carolina. The Agency provides wholesale electric services to its Members primarily through a 25 percent ownership interest in unit 2 of the Catawba Nuclear Station, located in York County, South Carolina. PMPA is governed by our Board of Directors and operates in the public arena. One director and one alternate are appointed from each Member by the elected city councils or utility commissions governing the local utilities. Our Mission: PMPA provides our Public Power Communities reliable, competitive, wholesale electric and other value-added services. 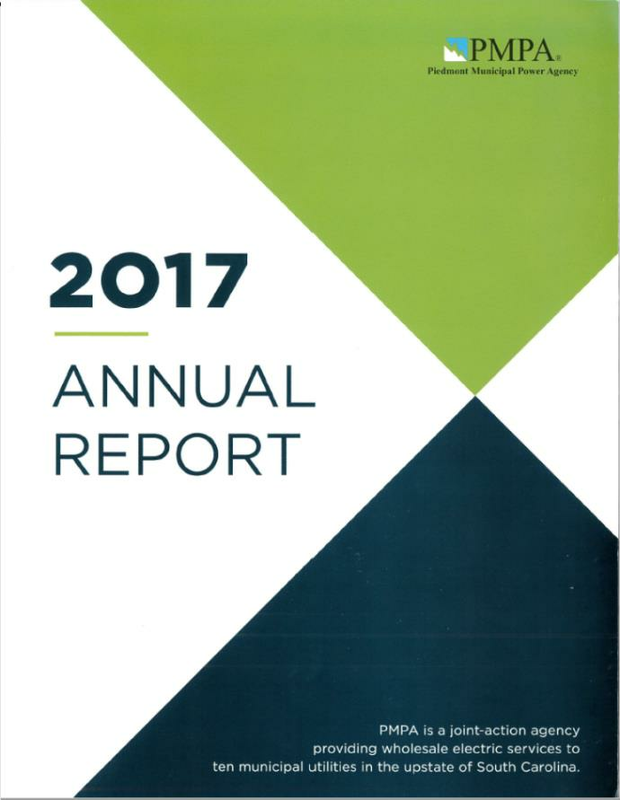 To view and download the Annual Report click below.